Ram brand head Bob Hegbloom: Agriculture and construction are big markets. DETROIT -- Fiat Chrysler has been pushing into the commercial van segment since 2013, when it launched a version of the Fiat Ducato in the U.S. as the full-size Ram ProMaster. In late 2014, Ram brought in a redesigned Fiat Doblo as the Ram ProMaster City to compete with the Ford Transit Connect. Other commercial vans from Fiat's European product stable, such as the large Iveco Daily, may follow. 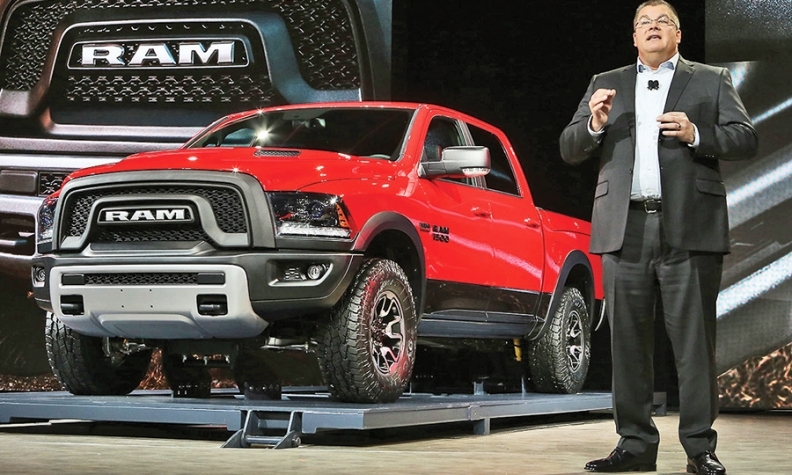 Ram brand head Bob Hegbloom, 51, spoke to Staff Reporter Larry P. Vellequette in January about the commercial vans and what they mean for dealers. Q: Now that Ram has its commercial lineup set, will more BusinessLink commercial dealers sign up? A: We've more than doubled that dealer network from where we were in 2010. Our objective was to get 90 percent coverage across the U.S. within a 30-mile range. It's great to have commercially oriented dealerships, but if they're all fighting for the same thing, it's just not the best situation. We've got 950 dealers now in this plan. We're focusing on making sure that we have the right dealers who are doing all of the things that they should be doing for commercial customers. Any plans to expand Ram's commercial van lineup? We'll continue to work with both Fiat Professional and Iveco, which has a heavy-duty van called the Daily. It was the International Van of the Year last year. It's a beast. It plays in the Class 2 and the Class 3 and 4. When you get into the Daily, you can get into strip chassis, where it's a breadbox on top of a cab and frame, and you can get a dual rear wheel. That's out there if we would want it, and we've talked about it. It's been a few years since dealers had a large commercial van to stock. What is Ram doing to make sure dealers have sufficient inventories? We helped the dealers out of the gate because we knew where the market was, what was selling, where the opportunities were. When we started our production cadence, we went to the highest-volume first, and then we introduced the other configurations based on the sales rate. Should dealers be chasing any particular industries with these vans? When you look at the commercial end of the business, the big players are the agricultural/equestrian piece, where we do a great job, especially working with our sister brand Case. You also have the construction trades business, where we're hitting the trade shows and we put our portforlio around them. The other big piece is the whole delivery side. Those are our three cores that we look at. Those three represent about 80 percent of the volume and where the opportunities are.